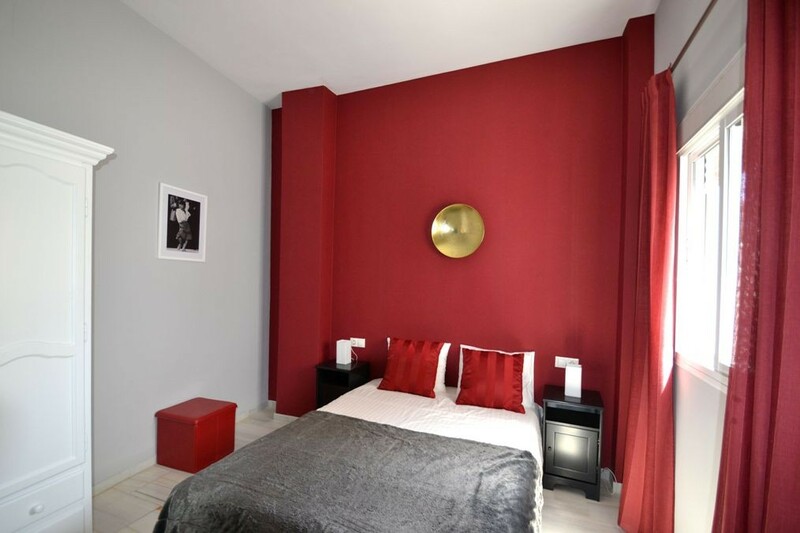 Triana Terrace is a one-bedroom holiday apartment with a private roof terrace, located in the traditional Triana quarter. 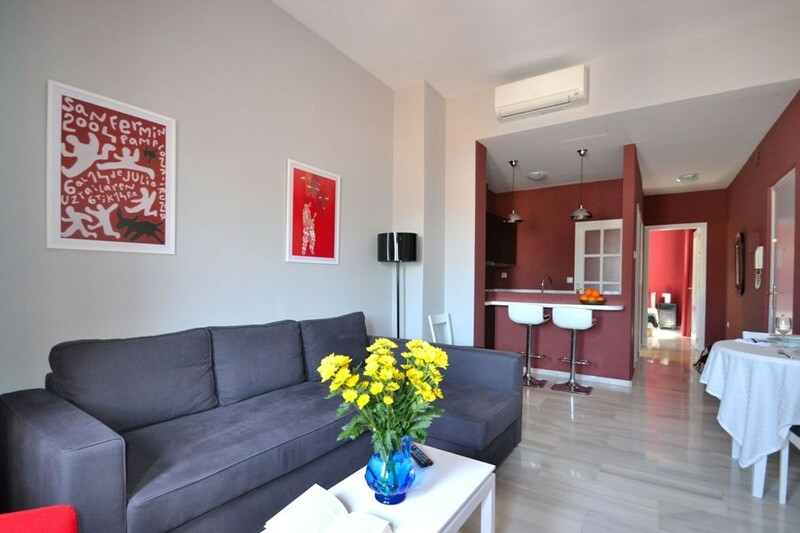 The living area features a dining table with chairs, a desk, a double sofa-bed and flat-screen TV. 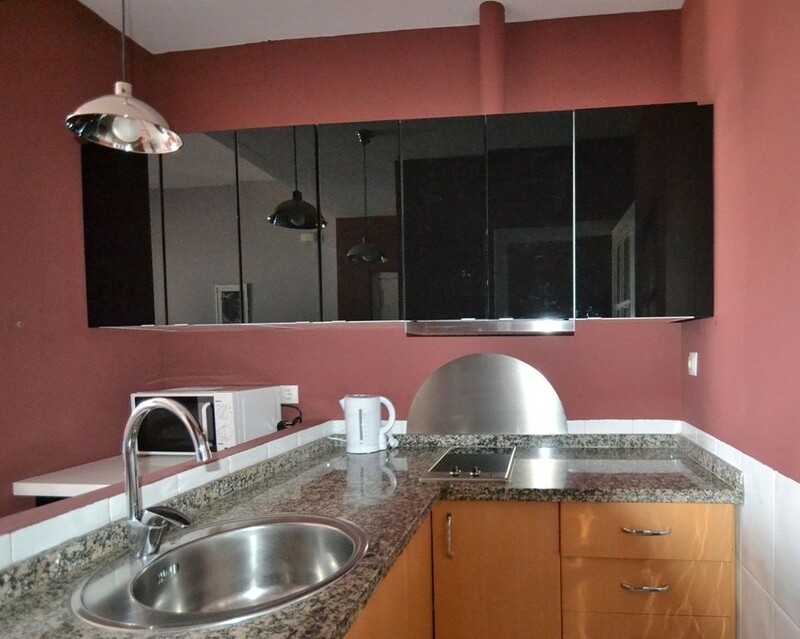 Adjacent, with a separate entrance, is the well equipped kitchen, which features a breakfast bar and bar stools. 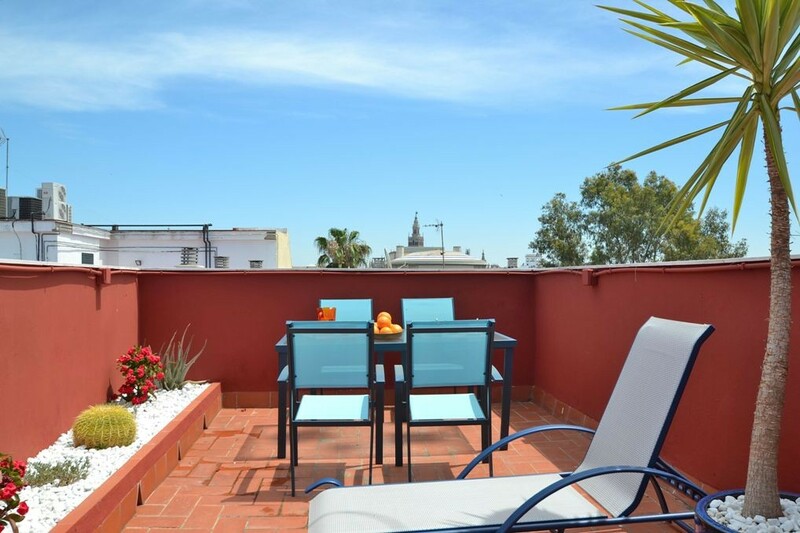 The access to the private roof terrace is from the communal staircase of the building . It is equipped with table and chairs , two deck chairs , a parasol for the summer days. 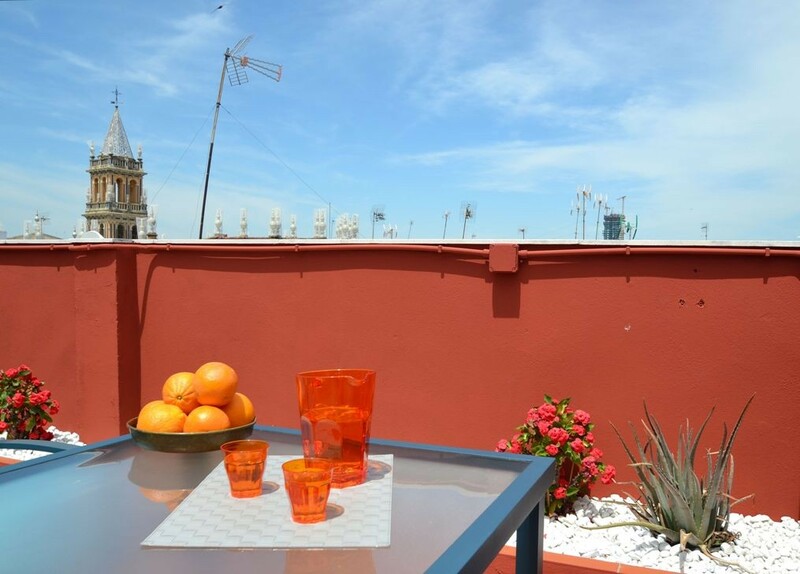 The terrace of this holiday apartment has wonderful views of the Maestranza Theatre , Golden tower, Giralda tower and Santa Ana Church. 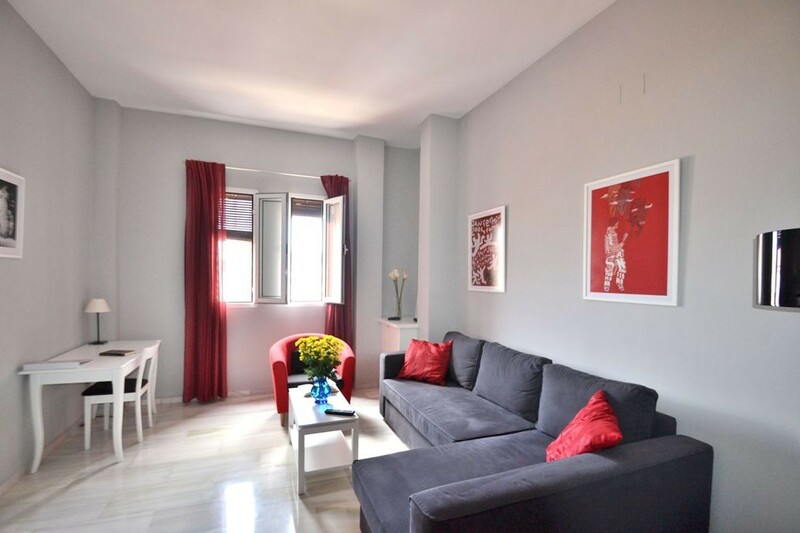 Living room : Desk, Double sofa-bed, dining table and chairs, ﻿coffee table. 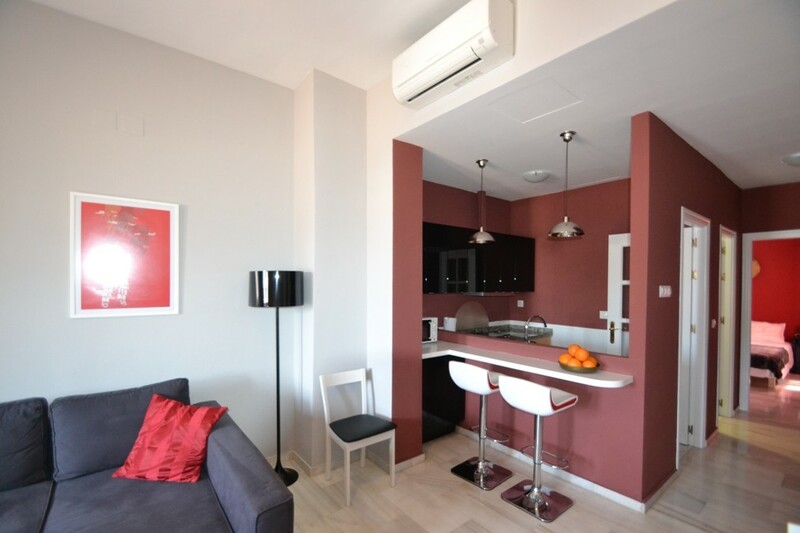 Kitchen : Washing machine, fridge/freezer, microwave, kitchen utensils. 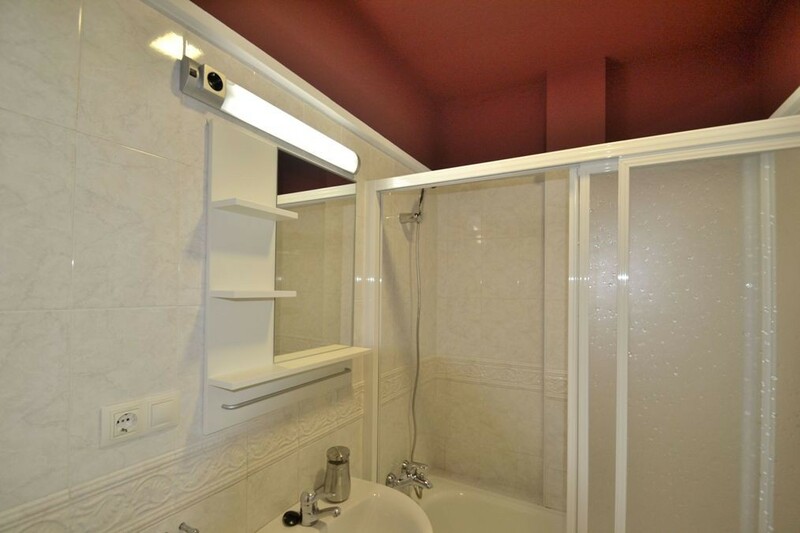 Bathroom : Bathtub, wash basin, toilet, bidet. 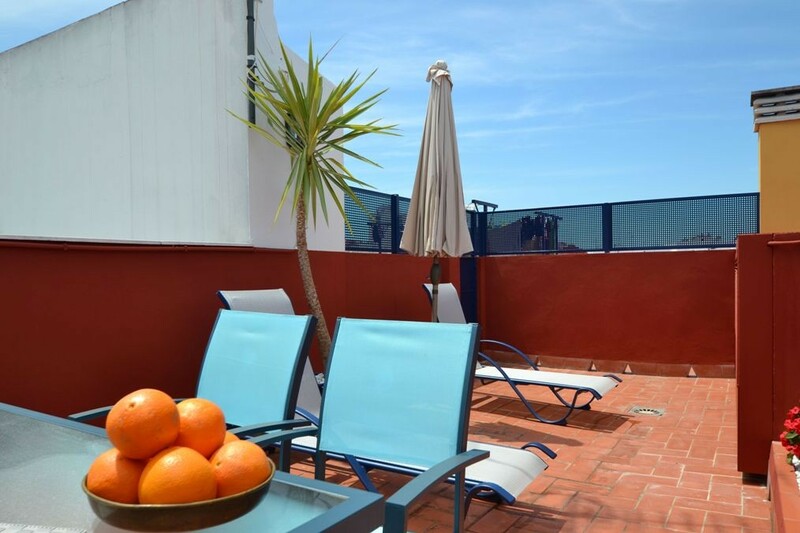 Terrace : Table , chairs , sun loungers, parasol,plants. 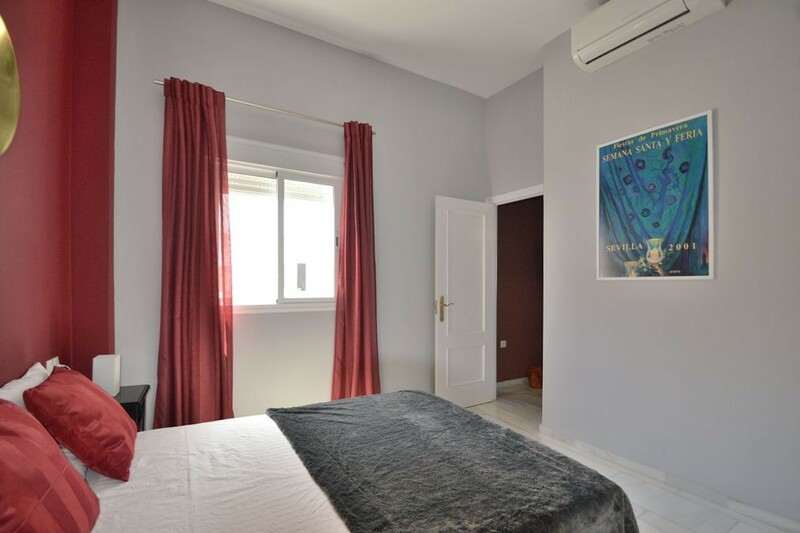 This holiday apartment is located in the old town close to the main monuments. 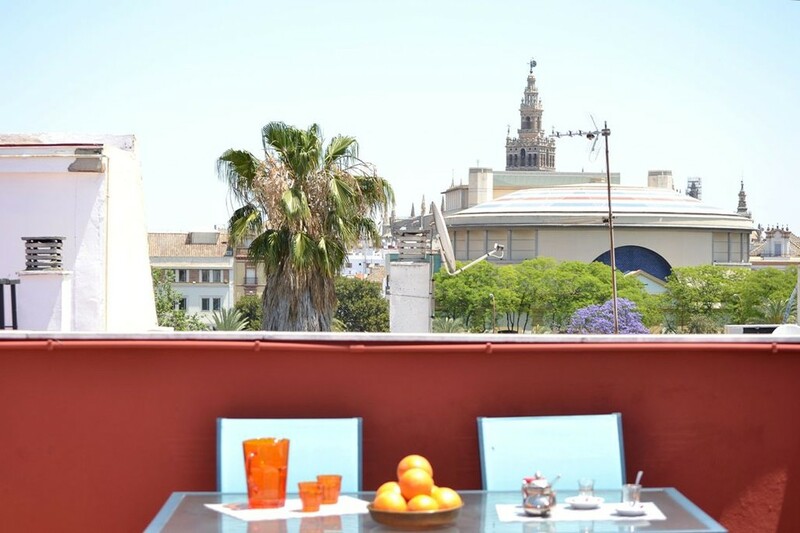 It will be easy to visit the historic centre of Seville and the famous Triana quarter.